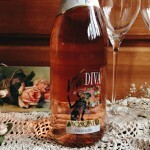 Thank you to Viva Diva for sponsoring this post. All opinions expressed are mine alone. 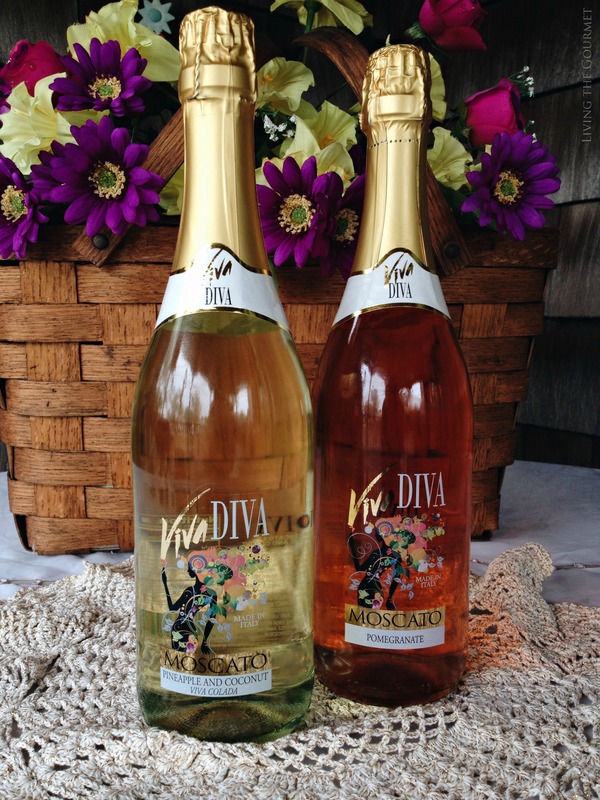 Living the Gourmet was recently invited to sample a few bottles of the new ‘Viva Diva’ label, Italian Sparkling Wines courtesy of none other than Christina Milian. In particular, we would be sampling the Pineapple and Coconut Viva Colada, and the Pomegranate. Both are Vino Spumantes, which is a type of sparkling wine produced in the Piedmont region of Italy from Muscat Blanc grapes. Spumantes are typically very fruity, and quite sweet, which perhaps makes this an apropos varietal given the bottle’s festive design and the ‘party’ or ‘social’ slant of the wine overall. I say this because before even opening the bottle the eyes are greeted with a pleasantly dizzying floral label, with a stylized “Viva Diva” proudly on display in gold and white, framing what I can only describe as the silhouette a ‘Floral Venus.’ This is all done in a way that is simply captivating rather than tacky, and so my compliments to the artists as it not only managed to catch my eye, but also earned an entire paragraph of my word count. Now for the vino itself. I will admit that I approached the bottle’s contents with a fair bit of reservation given the addition of fruit essences since, as I mentioned earlier, Muscat Blanc is typically exceptionally fruity and very sweet on its own, which is one of the key characteristics of spumantes. I also feared the dilution of the grapes overall. However, as always, I approached the bottles with an open mind. Now, how best to approach such festive bottles? And not just any bottles, but bottles of spumante with a dash of extra fruity essence? Well, with a party of course. To do this, I decided to ignore the more traditional pairings for spumante, which is usually fresh fruit or sweet desserts, or simply by itself as a digestif, or for those of us ‘in the know,’ with almonds, sweetened or otherwise. Instead, I decided to serve these bottles with a homemade, soft crust, super savory pizza. Since I can’t help thinking of these as party bottles, I was throwing the crew of LTG a small party – our way. For the pizza itself, I used my go-to pizza dough recipe. In line with keeping things simple, I topped it with a classic seasoned red sauce and generous amounts of mozzarella. Once the table was set, and the music was going, it was time to pop open some of Ms. Milian’s bubbly. Pink first, I decided to start off with the Pomegranate. The wine greets with a decidedly fruity bouquet, dominating pomegranate aromas with hints of rose and orange peel. On sampling, the wine features powerful but fine and very pleasant bubbles, refreshing and also quite satisfying. Pomegranate dominates the flavor profile, but pleasantly so. Beneath the pomegranate, as the bubbles subside into a relaxed end, I picked very faint, but also supremely apropos floral notes. Perhaps surprisingly, I found this to be an excellent accompaniment to the pizza, with the pomegranate serving as a sweet but refreshing offset to the savory pie. As for the Diva Colada, it greeted me with intensely fruity aromas that I couldn’t help sensing as sweet green melon rather than pineapple. On sampling, the bubbles greet with instant pineapple and lime flavors, with a dominating coconut base. 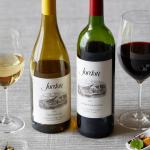 The wine ends on definitive fruity notes, which linger briefly on the palette. I would suggest serving the Diva Colada either as an aperitif over conversation, or as a digestif with a sweet pastry dessert, preferably something fruity or caramel. By the time the pizza was gone, so was the Viva Diva Pomegranate, and it was time for our digestif. 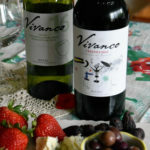 That said, the Viva Diva’s helped create a very pleasant evening, and were very enjoyable bottles on their own, which I can wholeheartedly recommend, especially to anyone looking to add an extra layer flare to their next party. Alas, the manly-man in me would much rather have a beer, but t'was a great review, you published. 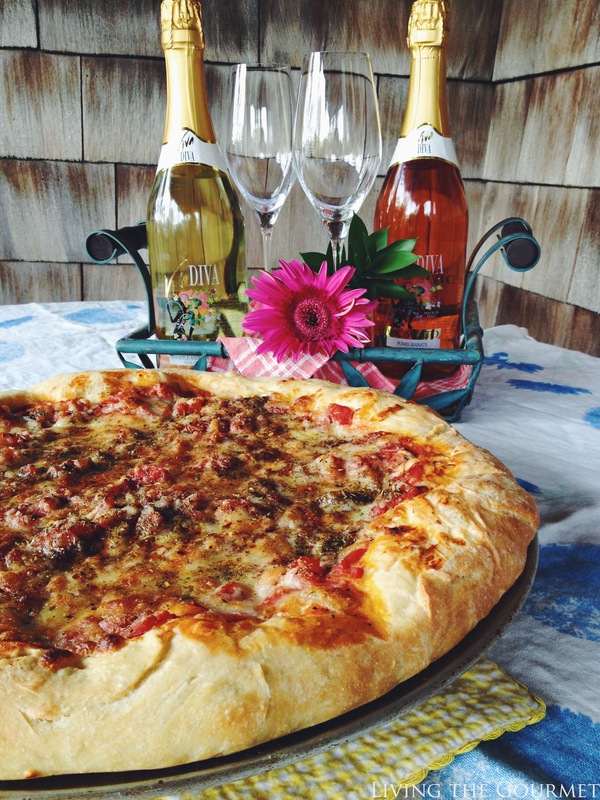 Sparkling wine and pizza sounds like a winning combo to me! I am so craving pizza now. Can't go wrong with pizza and a good wine. Nothing goes together like pizza and wine! Sounds so great to me! 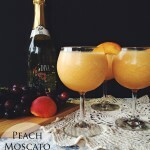 I love moscato wines! In fact, I have two moscato grape vines, but am lucky to get enough grapes to eat (usually the animals get to them first)! These sound wonderful, especially the pomegranate as it's my favorite fruit! Will be on the lookout for them! 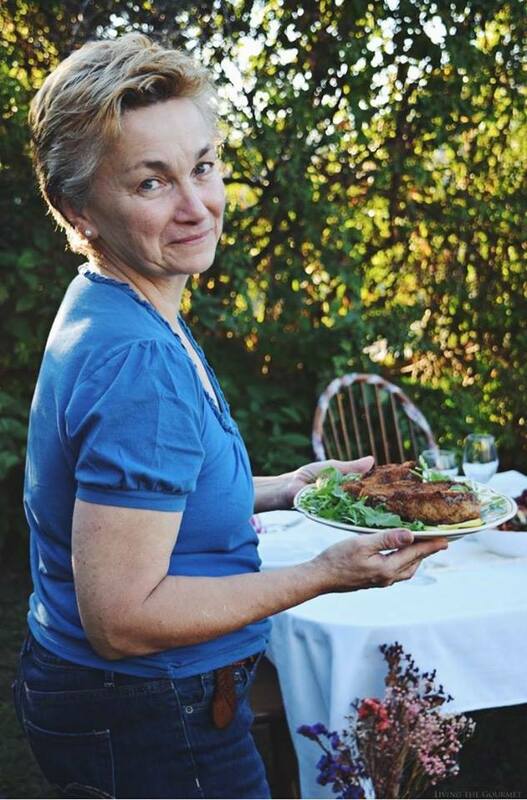 Such a gorgeous meal Catherine! Love your pairing and I can almost taste that pizza!!! Have a beautiful weekend, hope you get to sit out on your porch! What an amazing flavor combination! YUM! I'm not a huge wine lover myself but I think I may be able to enjoy a glass of this!! Fantastic post! 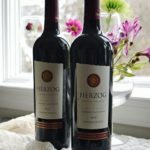 I love the wine bottles, they are beautiful, and the pizza and table setting is gorgeous! Oh YUM! 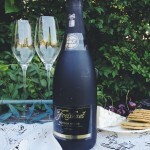 I'm having a girls night on Tuesday and those sparkling wines sound like the perfect girly drink! Mmmm wine and pizza sounds like my perfect night in! Looks delicious! 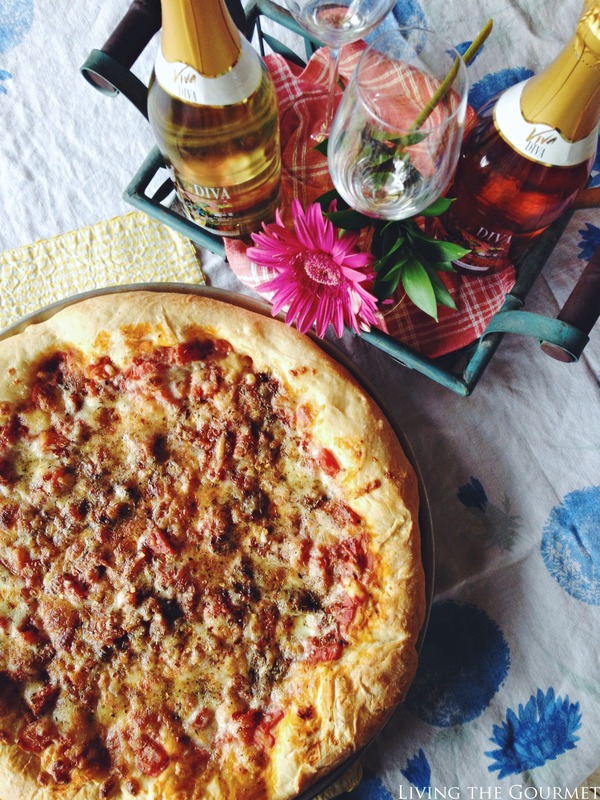 Sparkling wine and pizza sounds like the most perfect dinner! Delicious! Oh my.... that pizza has my mouth watering and tummy growling! You can never go wrong with homemade pizza :) Thanks for sharing with Roses of Inspiration.